Beautyqueenuk | A UK Beauty and Lifestyle Blog: Pulling the Woolover your eyes! Pulling the Woolover your eyes! With Christmas on its way, buying for the men folk in my life is always the hardest, my dad especially who never wants anything and usually ends up with the same presents every year - his favourite whisky and some fishing vouchers. Same for the father in law funnily enough. Wool Overs are celebrating their 25th anniversary this year and the winter season’s coming up on us quicker and quicker and there are just so many lovely items that ive put together some of the ones that have made it onto a short list for present options, where it is men's jumpers or men's cardigans there are so many to choose from. The best part about these products however is their price! Starting from around £25 and rising in price to around £40 per item and if you get in there quick there are some amazing offers which might just help you finish off your Christmas lists. 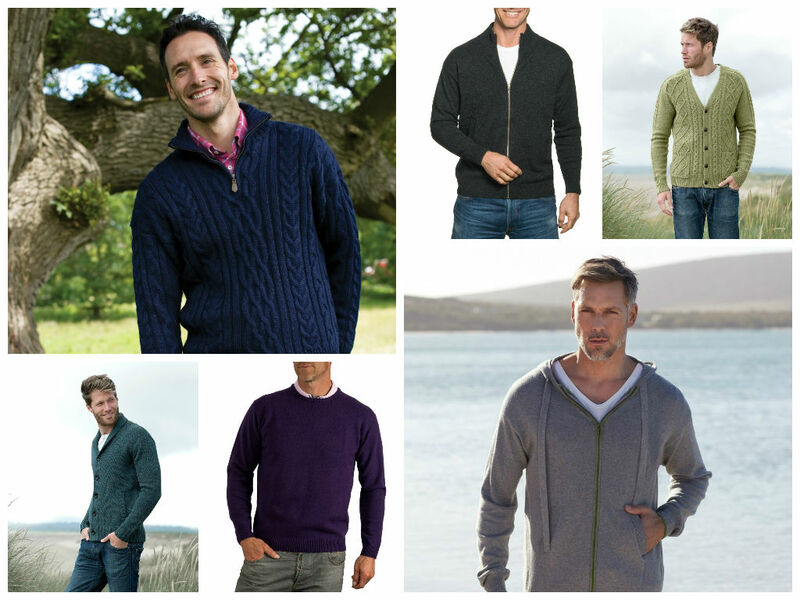 Top left features an Arran zip neck jumper which comes in a variety of sizes and colours and costs just £39. The two pictures below feature Crew neck jumper in purple for £35 and a British Shawl Collar Cardigan which costs just £39. The right hand side of the screen features a Lincoln Zipper Cardigan which is just £28 followed by Cable V-neck Cardian at £45 and finally a Zip Neck hooded Cardigan which costs £35. My dad can be quite fussy about what it is he likes to wear, but as long as it has no pattern on it and has a pocket he tends to wear it. What I like about all of the choices I have made is that they will suit men of all ages. So whether you’re on the search for a heavily knitted, pure British Wool Jumper for enjoying the Outdoors or a smooth Cashmere Slipover for the Golf Course, you’re certain to find the perfect garment in the selection Men and women. Whether you're looking for cardigans, sleeveless cardigans or jumpers, they do come in a range of great colours and styles, including v-neck, crew neck and hooded. Would you buy these for a man in your life? I do like a goof arran jumper on a man. Both cardigans are something that my hubby would wear. I do love a good wool ganzie, but have a preference for the Shetland variety :) (I might be biased though, living here!). If I was going to fork out on a wool sweater for my hubby it would be a Fair Isle patterned one, but the ones by Wool Over look lovely and affordable too. The man in my love has a bit of middle age spread around his middle and sweaters really tend to show it off so unfortunately he won't wear them! I would. Some of them are very nice; I especially like the hooded one. I think it would suit my OH very well. I love knit but my partner wouldn't wear them. These sound really reasonable, I'd definitely consider buying some of them.